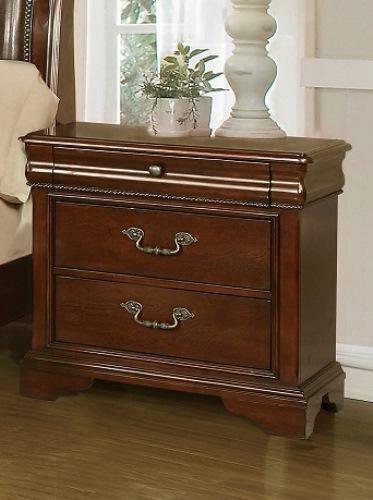 This three drawer nightstand will complement any bed it sits next to. Its Louie Phillip style, highlighted by the crown molding, bracket feet and a combination antique bail handles and knobs, will create a classic look in your bedroom. The 4116A- Misk 3 Drawer Nightstand by Lifestyle at Miskelly Furniture in the Jackson, Pearl, Madison, Ridgeland, Flowood Mississippi area. Product availability may vary. Contact us for the most current availability on this product. Storage Three Drawers for Storage.